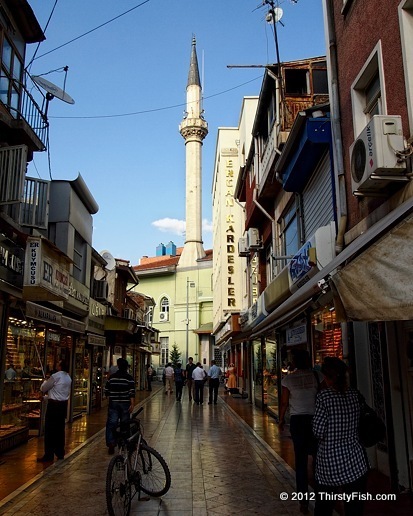 Eskisehir, "old city", has numerous merchant alleys selling and repairing watches, fabrics, shoes, jewelry and etc. Some of these traditional family businesses have existed for centuries. A Minaret is a feature of mosques. It serves as a visual cue and as a tower where "calls for prayers" are made five times a day according to Islamic tradition. Minarets come in various shapes and sizes.